US Rep. Marsha Blackburn (R-Tenn.), one of Congress's most outspoken opponents of strict net neutrality rules, has won a US Senate seat. Blackburn won 54.7 percent of the vote in yesterday's election, defeating Democrat Phil Bredesen, who received 43.9 percent. The vote tally was about 1.23 million to 983,000. Blackburn has been in the House since 2003, and chairs a key subcommittee that oversees telecommunications. She'll leave the House and become a senator on January 3, 2019, taking over the seat vacated by Republican Bob Corker, who is retiring. 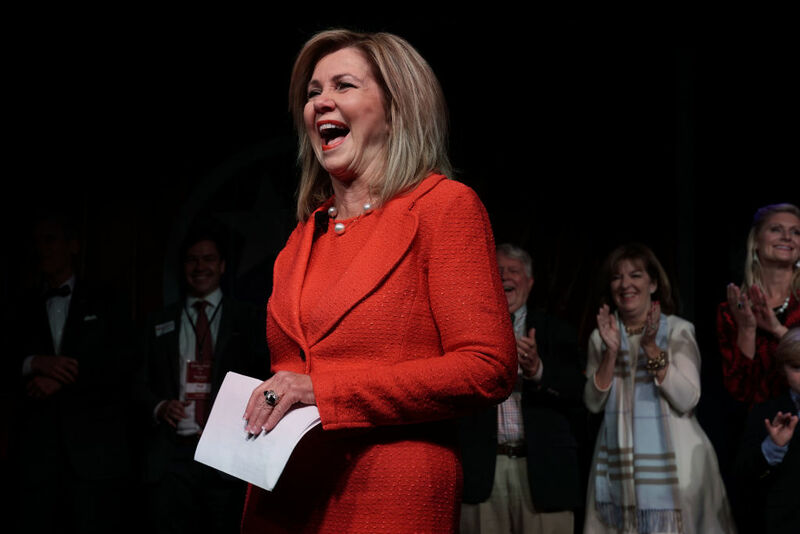 In her victory speech last night, Blackburn said the campaign shows that Tennesseans "want leaders who are going to be there to work with the president and keep this nation on the path to prosperity that we are on today. I want you to know I'm going to be one of those leaders." During the campaign, Bredesen called net neutrality "vital" and said that Internet access is "an essential utility." Because Republicans maintained their Senate majority, Blackburn could play a key role in writing net neutrality legislation. Blackburn has authored several net neutrality bills the past few years, including the "Open Internet Preservation Act," which would ban blocking and throttling but allow ISPs to create paid fast lanes and prohibit state governments from enacting their own net neutrality laws. The bill would also prohibit the FCC from imposing any type of common carrier regulations on broadband providers. Blackburn has argued in favor of paid prioritization, saying that websites and online services should pay ISPs for priority access just as Americans pay for TSA Precheck in order to go through airport security lines faster. A Blackburn-authored net neutrality bill isn't likely to pass the full Congress because yesterday's elections will let Democrats take control of the House. Democrats have tried to reinstate the full set of net neutrality rules repealed by the Federal Communications Commission. Their biggest victory was a Senate vote to reverse the repeal, in which all members of the Democratic caucus and three Republicans voted in favor of reinstating net neutrality rules. If Congress doesn't act, court cases may play the biggest role in resolving the net neutrality debate. The FCC is defending its net neutrality repeal against a lawsuit filed by dozens of litigants, including 22 state attorneys general, consumer advocacy groups, and tech companies. In a related case, California's decision to impose state-level net neutrality rules is being challenged by the broadband industry and Trump administration.